Bathrooms should be extremely functional but at the same time they should be beautiful spaces that lighten your mood when entering them. 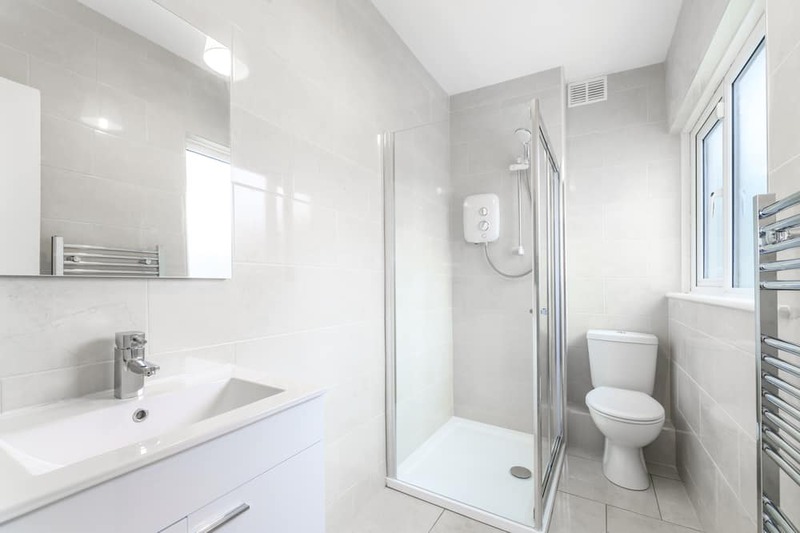 Are you interested in different ways that you can improve your smaller bathroom? Check out this tips to do so! 1. Eye Trick: If your bathroom is smaller, making it seem larger can do wonders. One way to do this is by carrying the same flooring in the bathroom all the way into the shower. 2. Wall Storage: Look to your walls for storage! Having important toiletries on hand is important so instead of taking too much leg space up, add some shelves. If you have larger items that don’t fit on the wall, try looking outside of your bathroom in a closet for storage. 3. Lighting: Lighting in any room of your house can makes all the difference! Especially in a smaller bathroom, having a well-lit bathroom can make the area feel brighter, bigger and more inviting. 4. Clear / Glass Materials: Instead of a shower curtain or foggy glass, choose a clear glass shower door! This will allow your eye to travel throughout the whole room rather than stopping as soon as the shower starts. 5. Floating Space: If you don’t have a ton of storage needed, think about having a floating vanity/sink. Doing this puts more space in a room and makes it feel larger. 6. Length over shelves: If you don’t have enough room for extra storage, try adding a ledge above your sink and below your mirror. This is a great space to keep your toothbrush and other small items. Like always, if you are looking to remodel your small bathroom, Ryann Reed Design Build will take all of these items into consideration and then plus some! From design to installation, your bathroom will be more functional and will look better than ever. If you live in the Bucks or Montgomery County PA areas, and have further questions, please feel free to reach out. We can be contacted over the phone at 215-372-0040 or through our online contact form.